When powerhouse and media mogul Oprah Winfrey announced that she would be ending her 25-year run as host of America’s (and perhaps the world’s) most watched talk show, everyone wondered what her next act would be. Now, the world watches as she transitions from TV host to network owner. 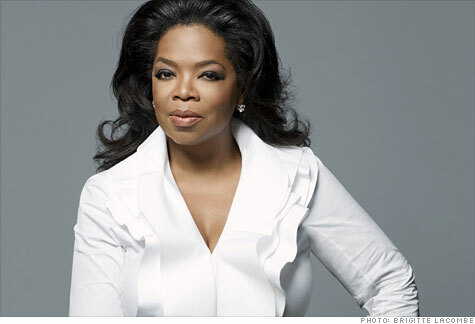 Here are four things we can all learn Oprah’s career change. Trust your intuition – Oprah says that in 1992, during a vacation with her long-time boyfriend Stedman Graham, he wrote the letters O-W-N, standing for the Oprah Winfrey Network – down on a napkin. She pushed the thought aside but it kept creeping up, especially at the most inopportune moments. In 2007, Oprah thought she would be planning for a long retirement, loving on her ranch in Santa Barbara – until David Zaslav, CEO of Discovery Communications came knocking with an opportunity that she couldn’t resist. The miracle was that it was the exact concept she had envisioned almost 15 years earlier. Trust your gut. Listen to the whispers of your heart. And when you are ready, the opportunity will present itself. Make sure you are ready. Surround yourself with a supportive network of family and friends – Oprah’s relationship with her best friend Gayle is legendary. But the very first person that recommended that she have her own network was Stedman. In fact, he told her that owning a network was “her calling” and they both lit up at the possibility. It’s so important to have a network of people in your life that believe in you and believe in your dreams and even push you beyond the limits you may put on yourself. Be prepared for fits and starts – After Oprah announced that she would be starting her own network, the initial road was rocky (to say the least). CNN reported that, “The network lurched through two years of launch delays, a $100 million dollar investment, management tumult, and internal confusion about what kinds of shows to do”. Often, our biggest opportunities begin with our greatest challenges – but that’s because they are meant to shape us into the people we will need to become in order to be our most successful selves. Don’t get daunted by the mountains that appear to stand in your way. Ensure that you are equipped with the right tools, the right plan, and the right people to reach your desired destination. Above all else, be authentic – It would have been easy for Oprah to use her network platform to promote any and every spiritual and self-help guru that purports to be help people to “live their best life”. Instead, Oprah took a critical eye towards programming and developed a mix of shows that all reflect her true mission for the network – as Oprah puts it – the hope that people will have “ a little more light in their lives” because of her. When you remain true to yourself, and align your goals with what you are truly passionate about, you become an unstoppable force. And also the part about your challenges sometimes being the gateway to your biggest opportunities. This is exactly what I have been thinking since the beginning of the year, because 2009 was my hardest year ever and it forcibly transformed me into a new person…who I am completely in love with.